Winsted, CT - February 11, 2019 /MarketersMedia/ — Page One Click proudly announces the launch of new small business website packages. These packages bundle all recurring costs into an affordable monthly rate, allowing business owners to more effectively manage their funds without worry about unpleasant surprises. The firm handles the Small Business Website Design, monthly updates, maintenance, system administration, and support of these sites, so business owners don't have to. "Upon speaking to small business owners, we discovered their biggest concern was unexpected expenses each month when it came to their website. We hope to avoid this issue with the introduction of the new packages. When a client chooses one of these packages, they know exactly how much they will pay every month and can allocate other funds accordingly," Steven Miller, the spokesperson for Page One Click, explains. Creating an effective website involves a great deal more than simply setting up a site with a nice design. In fact, the design process accounts for only a small portion of what is required to create a site that draws visitors in and keeps them engaged. Website operational costs add up quickly, leaving business owners with higher expenses than anticipated. "With the help of the new packages, a business owner knows he or she is having the essential tasks handled at a price the company can afford. Often, when choosing a web design provider, a business owner sees the initial price and believes this covers ongoing maintenance. The fees they are charged on an ongoing basis to keep the site up and running haven't been accounted for and a cash flow problem arises. This can be disastrous for a small business, so we created a solution that avoids this problem," Miller declares. The business owner needs to understand what is included in the package. When working with Page One Click, companies find they get website management and updates, an SSL certificate, managed cloud web hosting, cross-browser testing, and much more. Furthermore, this website can be up and running in a short period of time. "Contact us today to learn more about these packages. Numerous business owners find we offer exactly what they need to have an effective website that generates traffic and encourages engagement. We want to see you succeed and these packages help to ensure you will," Miller announces. 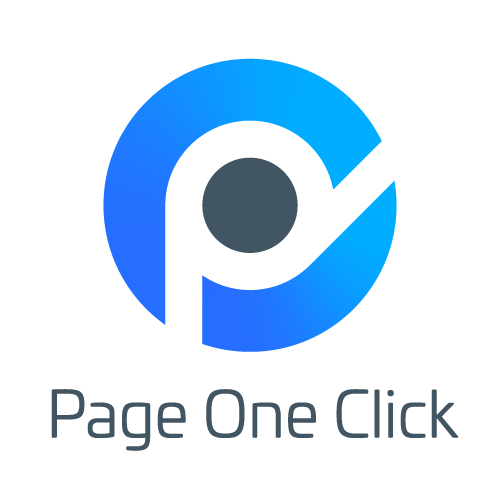 Page One Click is a full-service digital marketing agency based in CT, specializing in Website Design, Search Engine Optimization SEO and Social Media Marketing. Their integrated digital marketing approach leverages multi-channel strategies optimized to improve customer experience and drive positive ROI.